Are you ready for the new face of Cricket Wireless with AT&T? If you have a passion for customers and technology, you’re in the right spot. As part of our Retail team, you’ll help us bring our innovation into the world. It’s a big job with lots of room to grow. 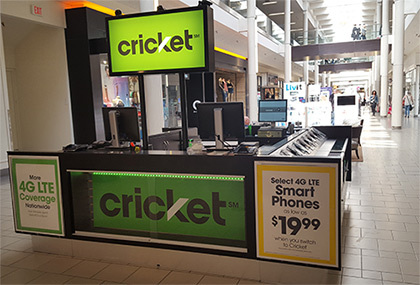 With AT&T’s acquisition of Cricket Wireless, we are ready to take over the market with AT&T’s top-notch network and service at our backs. We are looking for people with retail sales or customer service experience (wireless retail experience preferred) . People that are comfortable with technology and have the desire to keep learning and refining their skills. Bilingual is a HUGE plus but not required! We’re hiring both fulltime and part time positions at all our locations. Visit our indeed page for details on specific positions available, or fill out the form below and attach your resume.